Here is video of Obama’s whole 2016 State of the Union. 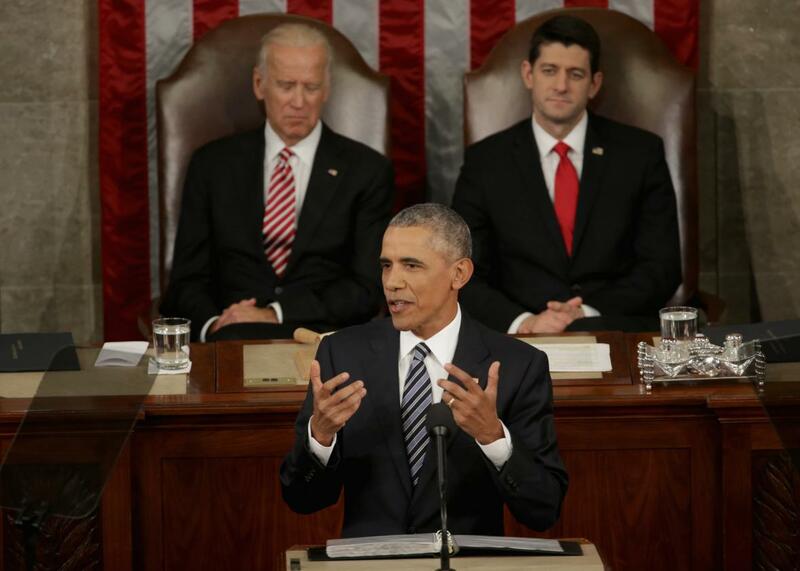 President Barack Obama delivers the State of the Union speech before members of Congress in the House chamber of the U.S. Capitol on Jan. 12, 2016, in Washington, D.C. If recent trends continue, Tuesday night’s State of the Union address will end up having been the least-watched such address of the past two decades. In case you opted to watch the latest episode of The Real Housewives of Beverly Hills, or Untold Stories of the ER instead of sitting through this important national speech, don’t worry, we’ve got you covered. Below is the full video of the 2016 State of the Union address. It’s President Obama’s final such address, so if you’re a fan of his work, you might want to give it a view!